Sneakin’ Around: Fortune and glory, kid. I'm not stealing. I'm discovering. For some reason, and I don’t know why, I keep thinking that you need level 30 in order to take up archaeology in Azeroth. But it’s level 20. So, basically, I needlessly scraped my way through 10 levels on daily quests, random non-violent tasks, and mining/herbalism when I could have been scouring the world for artifacts. I feel like Indiana Jones. Not because of archaeology itself, which is quite possibly the worst designed trade skill/crafting ever put into an MMO. 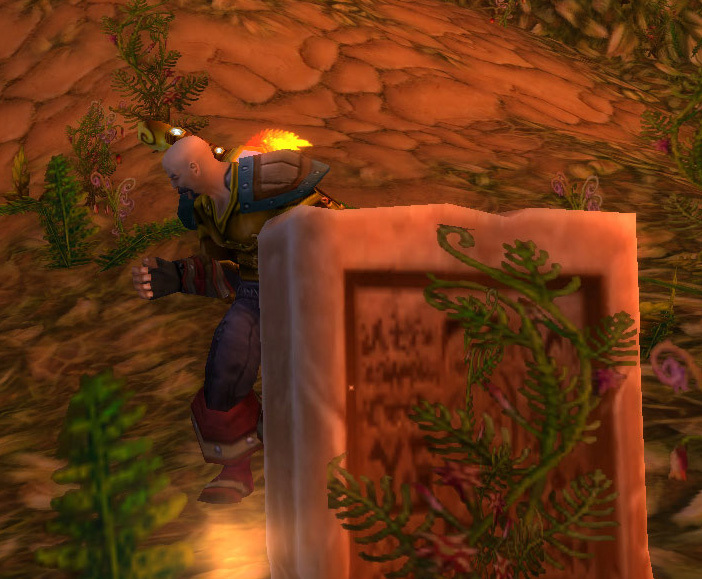 On my other characters, the ones who fight, archaeology is boring and stupid. You wander around in a zigzag path hitting the survey key until you get an artifact, which you then pick up. Repeat. On the rogue, however, it reminds me fondly of my days in EverQuest as a monk, feigning my way around zones, checking out cool stuff. Kaens has to carefully make his way though the dig sites and wait for just the right moment to perform a survey. Luckily, with sneak and vanish, I can avoid most of the dangerous creatures roaming the land. While previously playing the rogue felt like a fun job, with archaeology in the mix is finally feels like an adventure. Now I just need a hat and a whip. The single best part about archaeology is that I don’t have to interact with any NPCs at all except for when I need training. Otherwise, I just go to the places on my map and I am able to craft my own stories and my own adventures. This might be the most fun I’ve had playing an MMO in a long time.